Choose the area location you are most likely to attend regularly You may attend any of the groups at your convenience and switch around as needed. 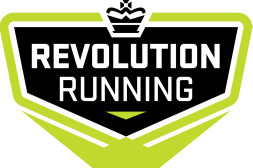 I am aware that joining the Revolution Running Program will include running and walking and that these activities involve risks. I understand that traffic may be on group run course routes. I assume the risk of running or walking in traffic. I also assume any and all other risks associated with participating in the program including, but not limited to falls, contact with other participants and trail users, the effects of weather, including heat and/or humidity, cold, wind, snow, rain, or ice and the conditions of the roads, and any and all other risks, all such risks being known and appreciated by me.